Join us for our annual sponsored ride from the Feed Station cafe in Merriott, South Somerset, down to Lands End. 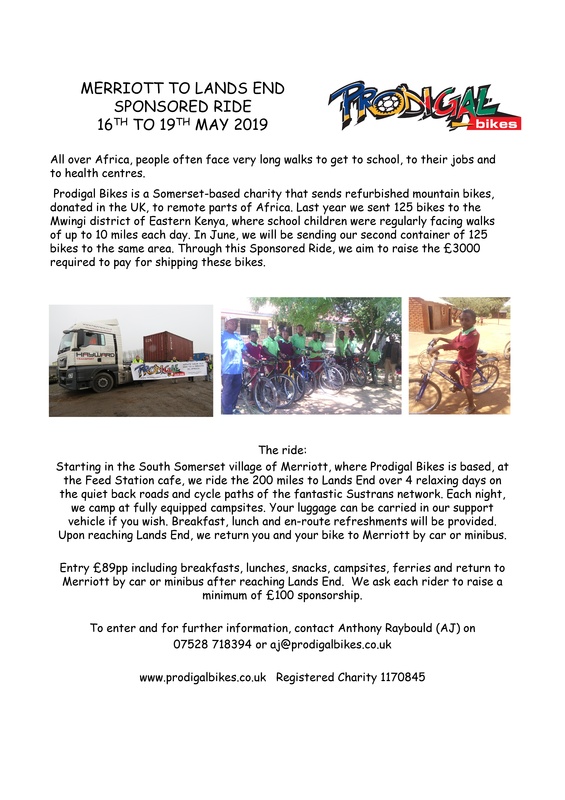 We have set a target of raising £3000 to pay for our next container shipment of 125 bikes to Kenya in June. Over 4 days, we will ride entirely on the quiet lanes and cycle paths of the Sustrans network, camping out each night at fully equipped campsites. 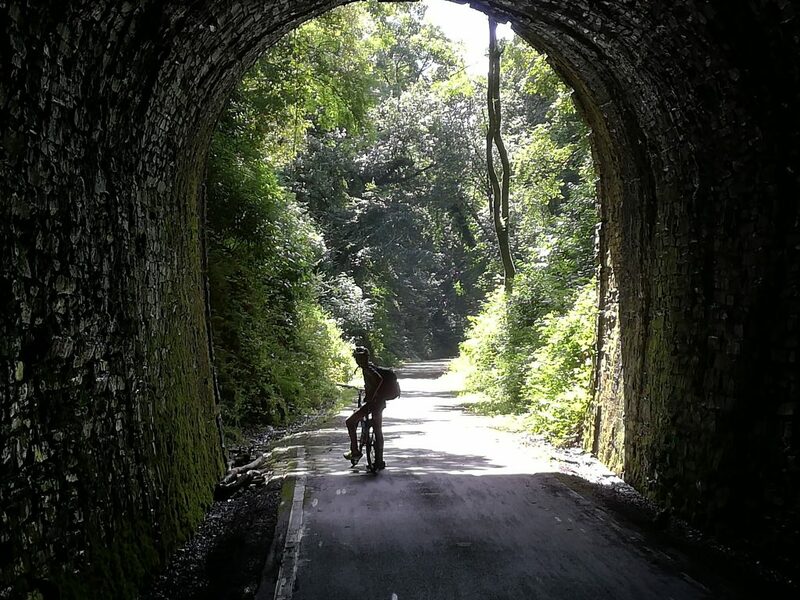 This ride will be a real adventure, you will make lots of new friends and will see the beautiful West Country in the best way possible – from a bike. Campsite reservations, breakfast, snack and lunches, and a Minibus transfer back up from Land End will be provided. If you need a suitable touring or mountain bike with panniers, we can lend you one from our ever-growing collection of bikes bound for Africa. To enter, please email aj@prodigalbikes.co.uk and we will send you out a welcome pack. We load container No.2 at our Merriott workshop with 125 bikes bound for the Akamba region of north eastern Kenya. Our African-themed evening in Merriott with African style music, food and drink. A fun filled evening to raise money to ship container No.3 to Africa in December. We load container No.3 with another 125 bikes bound for Africa.